The Mitfords would have called Edith Pearlman an ‘intie’, and that is what she is. Pearlman is a scholar and a New Englander by both birth and preference, and she gives us an insight into everyday America that we non-Americans rarely get a chance to discover. 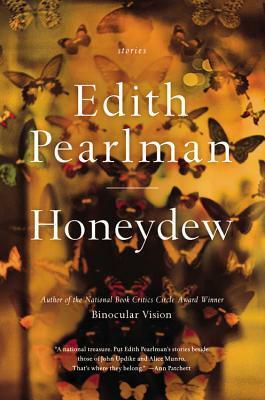 In Honeydew, her latest offering of twenty short-stories, she writes of struggle, inner-conflict, grief, poverty, the challenges facing women-of-a-certain age, and other unpleasant things. Pearlman strips away the all-American backdrop to reveal the bare-bones of society, human relationships and the sacrifices we make for love and friendship. 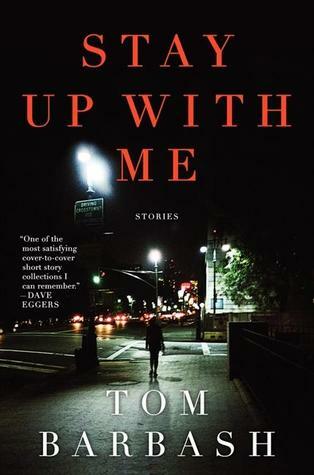 Tom Barbash’s Stay Up With Me takes us to New York City and offers the insight of human relationships from a male perspective. Observant, funny and moving, Barbash’s thirteen short-stories look at the everyday men and women we all know, their inner-lives and the myriad ways they seek to connect. Brief but poignant, Barbash gets to the root of human-nature. His portrayals are both honest and alarming. From its menacing opening line “The day Martha Winter decided to tear apart her family began like any other day” we are invited to speculate on the story before it begins. And that, in a sense, has already foregrounded a feeling of unease within the reader. 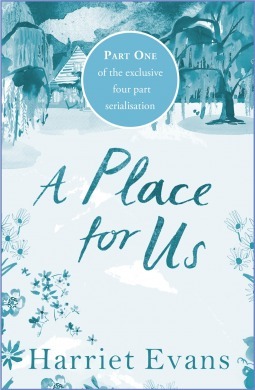 Harriet Evans has written a contemporary family saga reminiscent of Elizabeth Jane Howard’s Cazalet chronicles. Revolving around the family home, Winterfold, the grown-up children, in-laws and grandchildren receive an invitation to Martha Winter’s eightieth birthday where an announcement will be made. Her children and ex-husband speculate as to what the announcement might be, and each one dwells on secrets and half-truths from their past. With her rich narrative and unpredictable plot, Evans has given us flawed characters that command a degree of sympathy, and empathy, from her readers. Born in 1904, Lesley Blanch died aged 103, having gone from being a household name to a mysterious and neglected living legend. She was writing her memoirs at her death, beginning with her very odd Edwardian childhood. 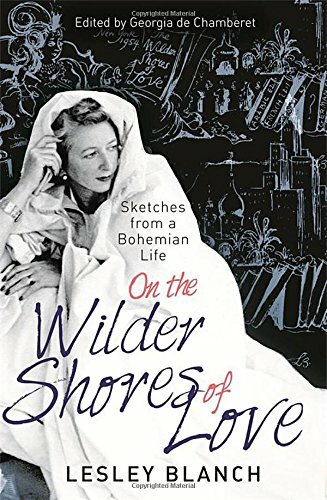 Her goddaughter, Georgia de Chamberet, has now collected that piece and many others, some never published, some published only in French; some letters, some Vogue articles to create On the Wilder Shores of Love: A Bohemian Life which captures the essence of a rich and rewarding life spanning the twentieth-century. Lesley’s childhood was truly bohemian; her mother was raised by her maternal grandfather who bequeathed to her a sizable fortune only to have the bulk of it stolen by her grandmother’s second husband. It was this fortune that allowed Lesley’s father to wallow in semi-luxury afforded to those with a disposable income at the turn of the twentieth-century; he did not work and spent his afternoons roaming around the art galleries of London. Lesley was sent to one of those ‘progressive girls schools’, which seemed to be springing up all over England, allowing girls from upper-middle-class families to have a formal education. She did not excel at school, nor did she fulfill her mother’s ‘country living dream’ of becoming a debutante. When the opportunity presented itself, Lesley travelled around Italy with a group of friends – as was the custom for well-bred girls – but whilst taking in the charm and culture of Italy she fell in love with an older man and became pregnant. Georgia added a footnote to explain (as Lesley skipped over that part of her life) how she went with her mother to a boarding house where she gave birth to a daughter. Lesley did not want the child, and with the stigma surrounding illegitimacy, the child was cared for by a farming family who were paid an allowance, and then, eventually, the child was adopted by a middle-class family. The set-backs and scandals of her early twenties did not hinder her burning ambition, and with the family’s fortunes floundering, Lesley went to work to support her parents. Escaping the boredom of convention, Lesley first worked as a theatre designer, she became Vogue’s features editor during World War II. In 1946 she left England, never to return, with her diplomat-novelist husband, Romain Gary. By the time they reached Hollywood they were literary celebrities. Gary left her for the young actress, Jean Seberg. Blanch headed East and travelled across Siberia, Outer Mongolia, Turkey, Iran, Samarkand, Afghanistan, Egypt, the Sahara. Although Lesley accumulated a collection of famous friends, her story is fascinating without those connections. 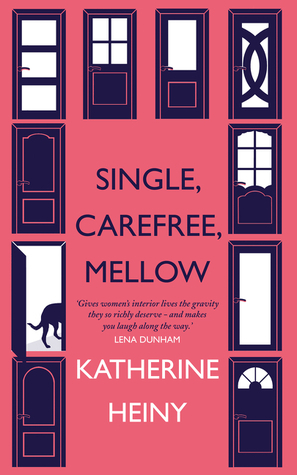 She said, ‘I have met everyone, but I know no one.’ To me, she was being modest, but that hardly mattered. Lesley knew what she wanted and she went after it. A real life Auntie Mame, her life was certainly a banquet. Lesley Blanch is renowned for her bestselling book The Wilder Shores of Love, which has been translated into over a dozen languages. Her other works include Round the World in Eighty Dishes, The Sabres of Paradise, Under a Lilac Bleeding Star, The Nine Tiger Man, Journey into the Mind’s Eye, Pavilions of the Heart and Pierre Loti: Portrait of an Escapist. She was the editor of Harriette Wilson’s Memoirs. She died in 2007. 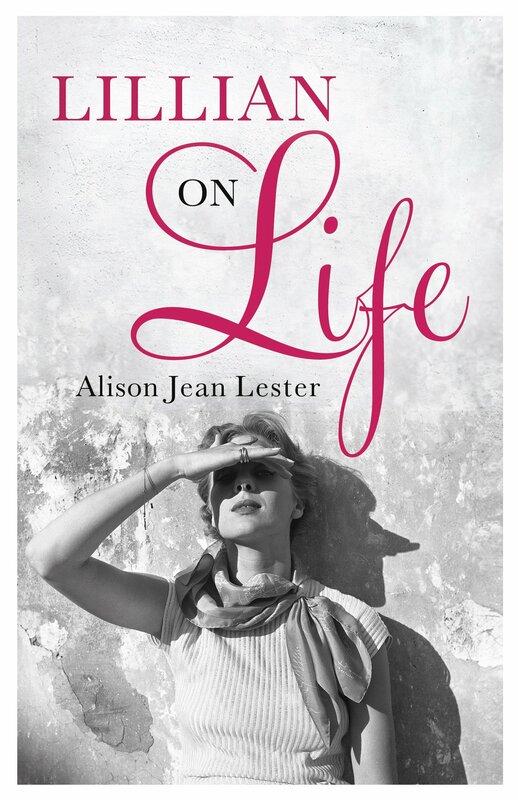 John Murray Press is giving 5 lucky Mitties the chance to win a copy of Lillian on Life by Alison Jean Lester. Simply click here for details.